No Two Clouds Alike. blog. | One life is like no other. Posts about my creative work. No Two Clouds Alike. blog. One life is like no other. Posts about my creative work. I am a cloud chaser. At least, that is what i’ve always liked to do since i was a little girl. I am pretty sure that most people have a memory of such an experience — lying on a patch of grass, perhaps under a tree, just gazing at the clouds passing by and finding shapes like airplanes, and giraffes. For whatever reason, as a young girl I gave this activity much dedication (besides drawing). Watching the clouds drift, reshape, dispearse….sometimes it is a more or less linear movement across the sky, but in other times it betrays expectation. Hot and cold atmosphere twirl and blend, creating scenes that are splendid or incomprehensible but always a wonder. Cummulous clouds fed by strong winds are the most fun to watch; For me it is a never-ending game of charades and story-telling. I could just immerse myself in a spectacular show unfolding, as I engaged by sometimes providing commentaries and voice-overs. And then there’s the “fish scale clouds” as they are called in Japanese, when the clouds form a loose pattern of arcs that look like fish scales across the sky. As a girl I thought it looked like a fishing net, which is based on a Japanese saying that “fish scale clouds” meant abundance of fish which meant a great day for fishermen out in the sea. A thought like that always took me to seas unknown, rejoicing amongst fishermen I never knew. Not surprisingly, as i grew up i didn’t find myself surveying the skies so much. But I never forgot my humble recreation as a child. At times the sky commands attention, like in a fiery sunset, and that is when I would think about the time I used to chase clouds. Until one day I found myself longing, if I had all the time in the world, I would just go watch the clouds roll by. Something as simple as looking up and losing myself there became something I couldn’t afford (the time) anymore. And that became a symbol and a reminder to me — of all kinds of things I wish to do — that are very simple yet hard to act upon. I am glad to say that I chase clouds for fun. And this is my shop. 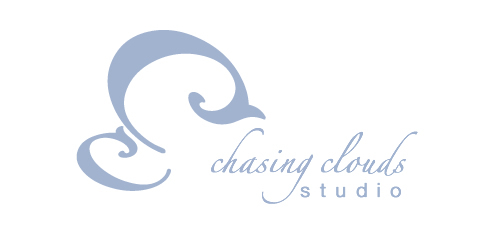 ChasingCloudsStudio.com has a new look!! Today’s date is May 20, 2013. This morning I launched the brand new CCS website, with updated information and photographs. We now have a new logo! This overhaul was long overdue ;( but I am so glad it is finally finished! Until the next one, at least. Please go visit the website and let me know what you think (on-or-offline!). Pretty wild? This is what I got from a little old gentlemen sitting behind a table piled with interesting machines. He builds moving toys and objects using scrap computer and electronic parts. He decided to sell some of his work at this year’s Mill Valley Holiday Fair, nudged by his wife to clear some space from the garage. Before he retired and focused on his hobby, he worked at Sony as an engineer, which explains his vast collection of raw materials! Maybe because he was living a retired life, he didn’t seem to care to promote himself much. Maybe he was hard of hearing too, but I couldn’t get him to tell me where else I can buy his stuff — if he did other events — he didn’t even tell me his name. And that humility makes this man even more special, and his work more amazing. Most likely he is unaware and unconcerned with the recent interest and popularity of re-purposed and up-cycled crafts and arts. The man just wanted to make stuff that moves — for the joy of making things that delight hearts; built to serve no other function or even to make a spare buck himself. I love that spirit. Due to a last-minute cancellation of another vendor, I was given a table close to the back entrance. This brought in many friendly visitors to my table, and my holiday line-up of ornaments, gift tags, holiday cards, and flower pins were a hit! It is such a joy to be able to show my creations to the public. This time I said my goodbye to my first collage house which I had named “The House of Sun.” I wanted to make a symbolic home where happiness resided, so I painted the inside bright yellow and you can see the color through the windows and doorway. 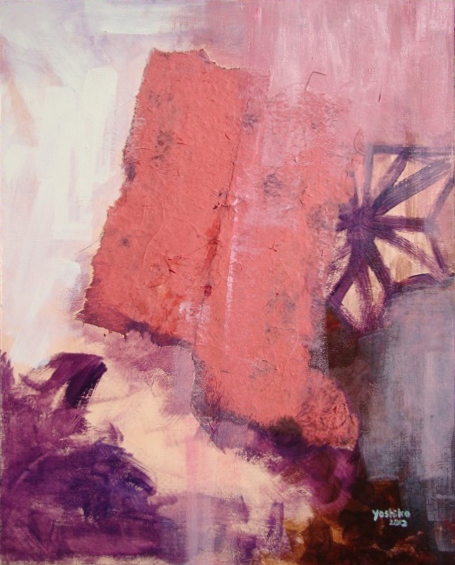 The exterior was layered multiple times with hand-torn paper, combining pieces from my own prints, in the same manner I create the collage ornaments. For the MV Fair, I stuffed it full with mini candy canes, and put a sign at the doorway “Take One.” It actually provided a kind of entertainment for little kids who were accompanying parents to the craft fair (they deserved a treat for their patience, don’t you think?). I am sure that my Sun House will be loved by its new owner in its new home, and bring in much sun! That means the candy canes will fill a different house I made, called “The House of Sky.” To me this one symbolizes a place of open heart — open mindedness and compassion. Being a mom of two boys and two cats, I often think of what kind of house or environment I wish to create for them. Or be a part of. Or at least wish for it. I can be such an idealist! But I think we need to aim high and do our best persistently when it comes to the gap between dream and reality. One of my dreams is to support worthy non-profits through my sales. So far my contributions have been miniscule, but I haven’t thrown in the towel on that idea!! In two weeks I will be doing a very interesting show in San Rafael, as a part of the downtown ArtWalk. On 12/14 there will be holiday tables set up outside and around the beautiful courtyard and arcade in downtown San Rafael. Not only would this be a chance to get some ColdStone ice cream just steps away (I still have not tried it), but also look at artisanal gifts and such. Every year at the holiday parade, they bring in a huge snow-generator and make a sled run for kids and adults there! It should be very fun for kids too. Thanks for reading! My ornaments continue to sell, so if you have a favorite one don’t delay — Each piece is one of a kind! 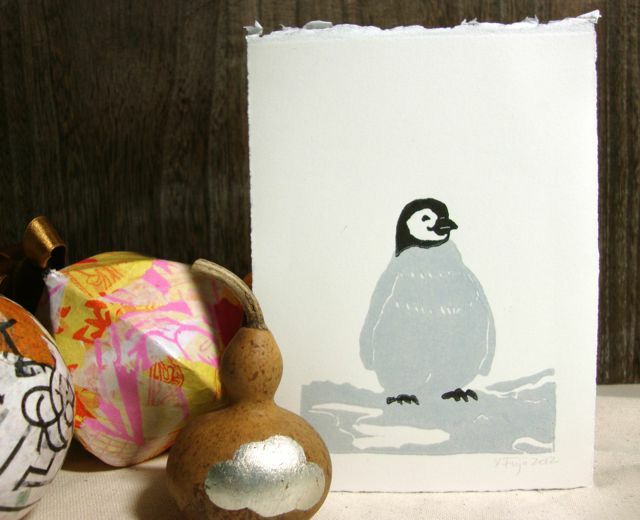 And if you do visit my etsy shop, don’t forget to use the coupon code SFEtsyHoliday2012 to receive 10% off on all purchases. A little update to the last post! For those of you who reside in the US — I hope you enjoyed your Thanksgiving weekend with family and friends. My family and I did our annual turkey sandwich delivery to the homeless in SF. It was more special this year because I think my boys are a little bit older now, they seem to really “get” how important it is for all of us to support each other in this world. I heard only a little grumbling (“15 more bags to go?!!!”). After some hours driving around the Mission, the Tenderloin, and the SOMA, we headed over to friends’ for a warm gathering of open hearts and plentiful appetite. This December will be my busiest month — starting on 12/1 at Mill Valley, then a mini-boutique on 12/3 and lounge shop on 12/14 (both in San Rafael). My last winter show will be in SF Japan Town on 12/15. If you are able to come to one of my events, you will be seeing items I am introducing in this post. But also, you will likely see something not mentioned as well. I’ve been trying to keep my focus on the product lines, but I sometimes go astray 😉 If you are in the area, please come say hello! Back by popularity! For your home, for his or her home…. 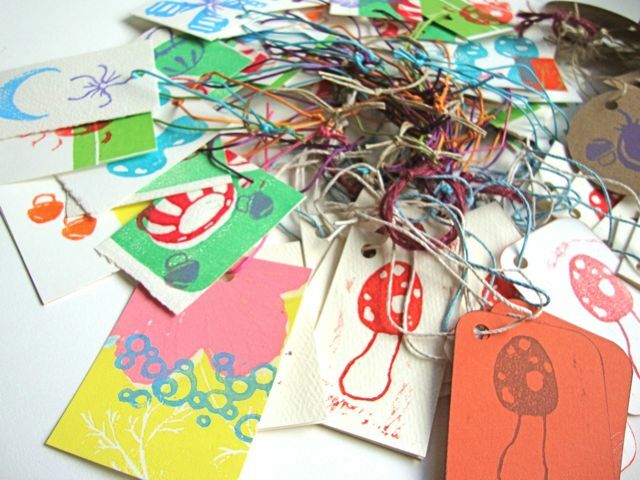 These colorful ornaments are truly unique — each one is a serendipitous collection of fragments taken from my original prints and hand-torn paper from all over the world. For each ornament, layers and layers of paper are collaged until the look is “done.” Then they are triple varnished to a shine. Look closely and you may find a horse, wise men, tomatoes, hydrangea, dragon, oh my — what story does your ornament tell? Hand wired and finished with satin or organza ribbon. My hand-bound books will continue to be available for the holidays, while supply lasts. 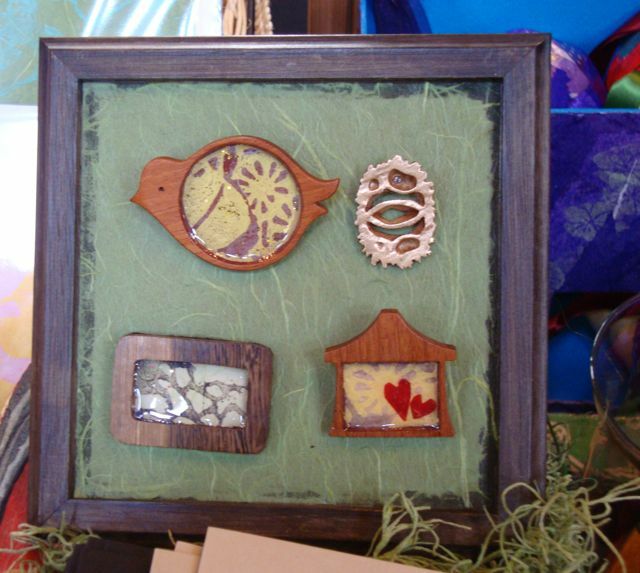 Wooden brooches come in fun shapes like birds and houses. 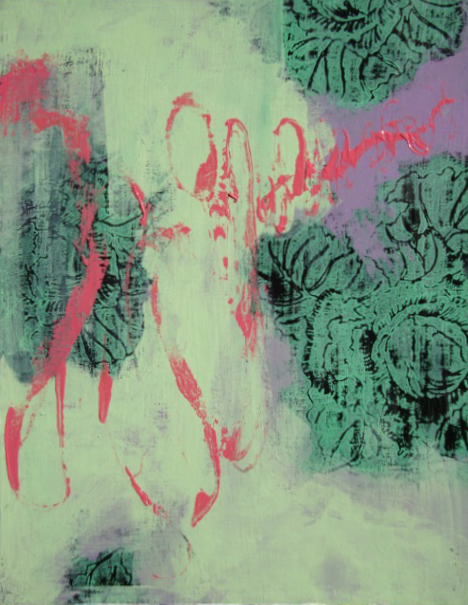 Each features an actual section from my original prints “Web Fungus,” “Eucalyptus,” and other surprises. 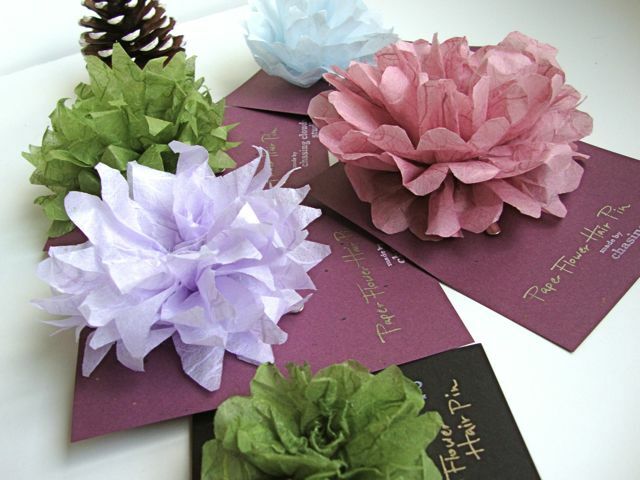 My favorite handmade paper became flowers! These blossoms make stunning accessories for hair, shoes, and scarf. Use it to top your holiday gift wrap instead of a bow. 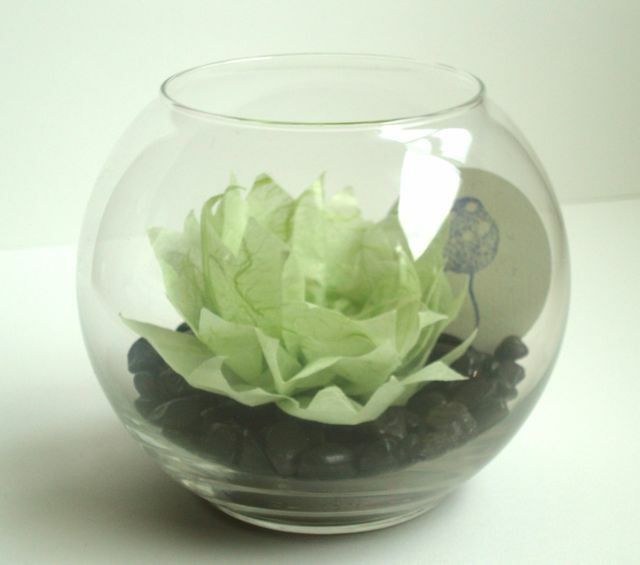 Or use it to add some sweetness to your room! Delicate appearance, but very sturdy material. I use the same beautiful flowers I use for the wreath (photo title), except adhered individually to hair clips. Made from beautiful Unryu paper. So sturdy you can ruffle them up! **Penguin Card. This penguin chick is adorable and cool — literally. Baby emperor penguins truly are chubby and cute. I mean fluffy. Guaranteed to bring a smile to anyone’s face — even your grouchy boss. **Holiday Candy Card. Two flavors — Cinnamon (red on green) or Peppermint (green on orange). Each design has room to write your own message. Be creative! This is for the gifter/recipient who pays attention to the DETAILS. Super cheerful, colorful, unpredictably wonderful! Yes, they are carved images. Available either in bundles (of 6-8) or separately. 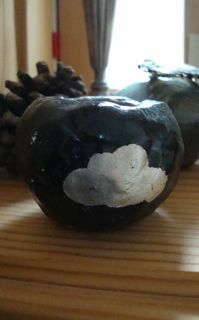 In case you haven’t checked our Facebook fan page recenntly, I am having a sale for online purchases from CCS shops on Etsy (ChasingCloudsStudio.etsy.com and CCSOrnaments.etsy.com). Just enter the code “SFEtsyHoliday2012” during checkout to receive 10% off on the entire purchase. Phew… you made it here! Thanks for reading all the way to the end! Hello there… Sorry I have been out of touch but that was mostly because I fall in and out of blog-mode. And obviously I was out. The studio has been busy, though. Regards to my experiments and creative process in general, I try not to quickly dismiss my urges and whims. Most of my life being a big-time worrier and a contemplator (no action-jackson), I have learned to appreciate random fits of creative energy and ideas not inhibited by expectation(from self and others) and fear of failure. And yes, at times this results in a waste of time and energy. But that is ok with me. Sometimes it is a pleasure to do something a more complex (and not economical) way. 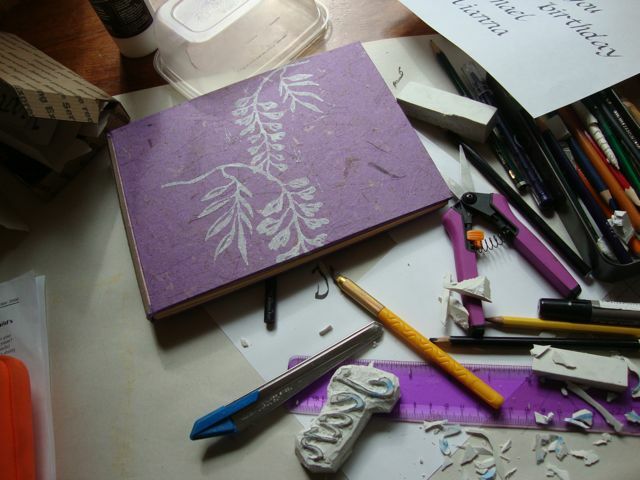 Right now I am making a Wisteria Book for a mom in Connecticut who will be celebrating her 90th birthday this month. It’s going to be the guestbook for the party guests to write on…. For this I’ve designed new dimensions and paper to match, and decided to personalize with with her name printed next to the wisteria. Simple, right? Then I decided to design a new font for this task. This is where it gets too awesome — or too ridiculous — depending on one’s point of view. So I’ve been designing my own font/typeface using a new app I got on my iBook. It is loads of fun but my first closest-to-finishing set still needs to be cleaned up. I also haven’t done any of the symbol besides the ! symbol 😉 Anyhow, it looks like this. 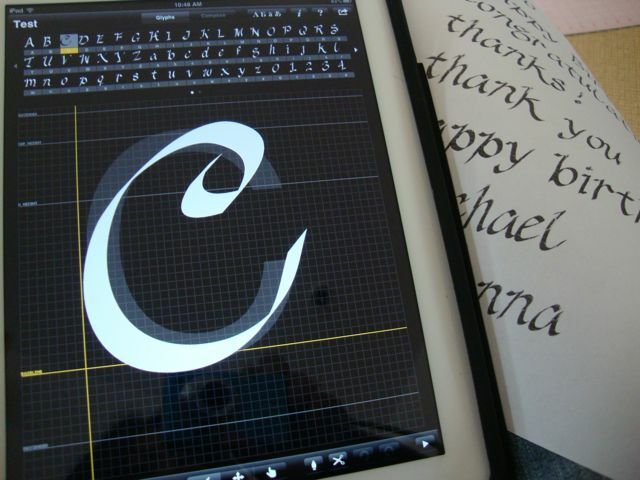 Awesome iFont app! Highly recommended for you designer folks. After the font set was exported and installed to my mac, I typed it in Illustrator to make sure it measured correctly to fit on the book cover. Then it was printed on paper which was then traced to a piece of rubber. You can see the carved piece below. Anyways, thanks for visiting. I am so very excited about our 2nd holiday season! There will be at least two shows in Marin County and one in San Francisco…I am hoping to put in all I have learned these last few months to offer more products for some shopping bliss. Boy, was it a HOT one yesterday…. A perfect day for an outdoors flea market! And there were plenty of sun-screened market goers browsing for deals and gems in the rough. Lucky for an indoor plant like me, I had one of the few coveted tables inside the main hall. So I only had to be reminded of the heat whenever so often (it got pretty warm even indoors). 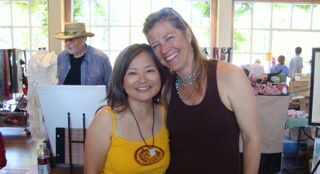 A BIG shout-out of THANKS to all my friends, old and new, who stopped by my table at the Mill Valley event! And to friends who watched my kids while I opened shop…. There is only so much a boykind can take, sitting behind a table at a fair! 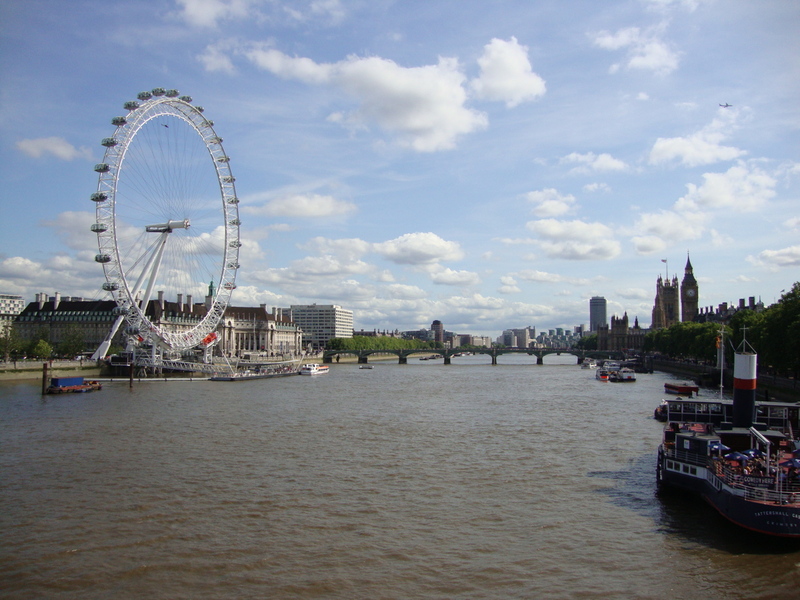 Everything was a bonus point, since I would have done it just for the experience of being there. 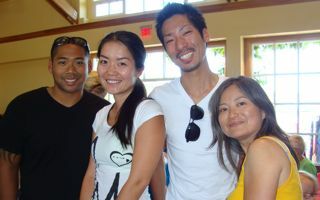 As another vendor told me at my first-ever sale, you learn SO much from just talking to customers and other vendors. It is also a thrill to make a genuine connection with someone, especially someone you just met. That happened yesterday with an awesome gal-mom who sat behind a table across from mine. This type of occurence would have been impossible if I had just worked at my studio or from behind a computer. Ok I am diverting from my event report…. Going back. At the sale I met a bride-to-be who showed interest in making block print invitations for her wedding. Such a project would push my skills further, as I haven’t really explored working with type (text) combined with block print. 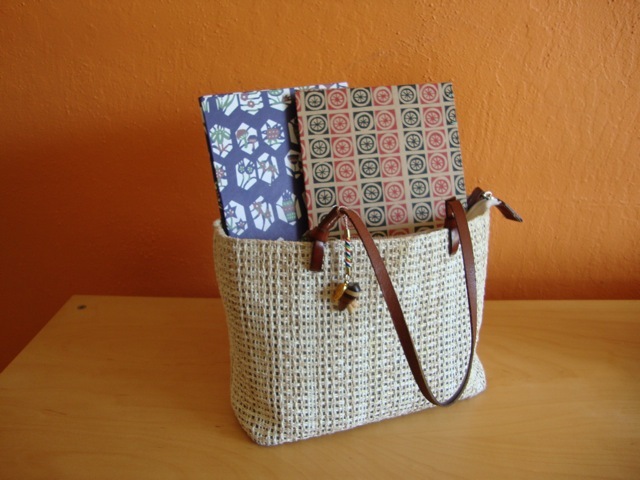 It was reassuring to see the new braided books receiving lots of praise and attention! I plan to grow my inventory with more designs in the upcoming weeks. My next event will be in the fall, so I will be working on more fall and holiday themed products too. Oh yes, and a free product give away too. Super busy today as I am trying to get ready for the sale tomorrow! Packaging things, making signs… Just bought a brand new 6″ table and a pretty jewelry hanger with a bronze finish (LOVE the clever accessories at Harvest Home!). Most likely I will be up late tonight just getting stuff together. Here’s a little more info on the other items I worked on so far this year. = Quick Note Cards. 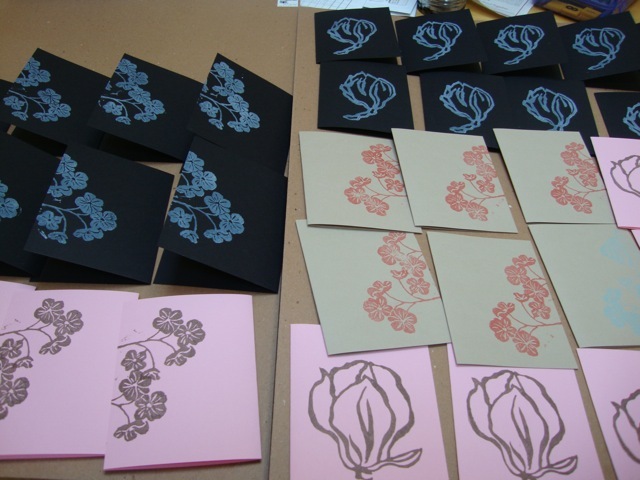 These are small and sweet note cards, which I decorated with rubber stamps I carved. 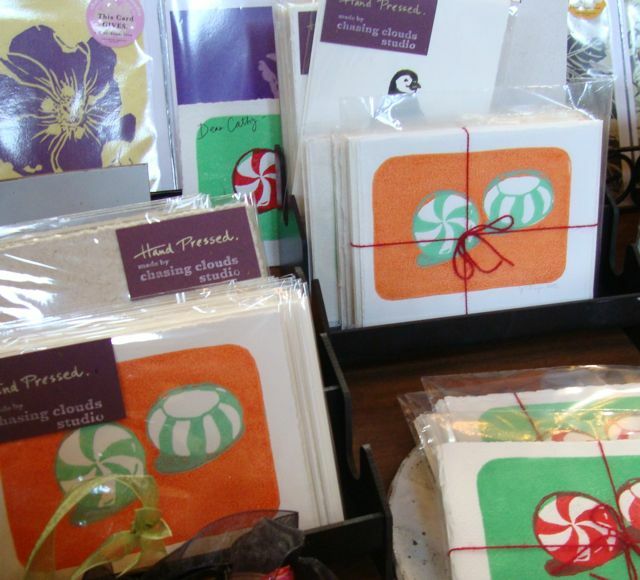 They are sure to be gone quickly, at $6 for 3 cards or $2.50 each. 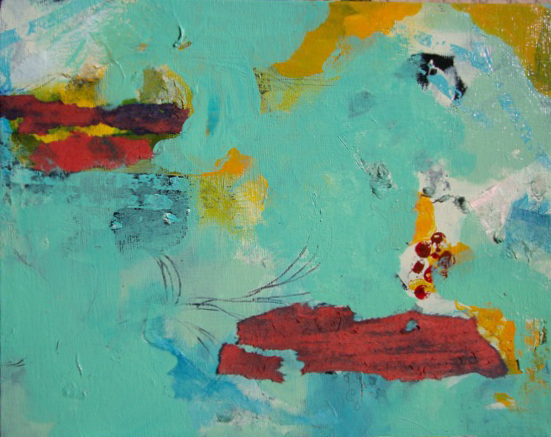 = Mixed Media Paintings. I will talk more about these pieces another time (when I don’t have a sale the following day!) but just wanted to share some photos. I had a great time (introspectively) while working on them. You can see these and other work on my Flickr Photostream. Well, heading back to work — See you tomorrow!! Did you know that every CCS card and book sale goes toward a non-profit?